Ikan FLY-X3-PLUS: a 3-axis smartphone gimbal stabilizer with gesture control system. It lets you create smooth handheld shots. It accepts large smartphones like the iPhone 6 Plus. Glide Gear AXJ-100 Action Jib: designed for smartphones, this system provides you with stabilized camera support. The telescoping arm extends your reach up to 5′. 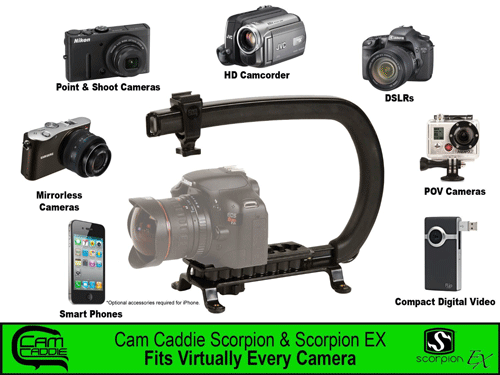 Cam Caddie Scorpion EX: a camera handle, stabilizer and support rig designed to make it easier for you to hold and move your camera. 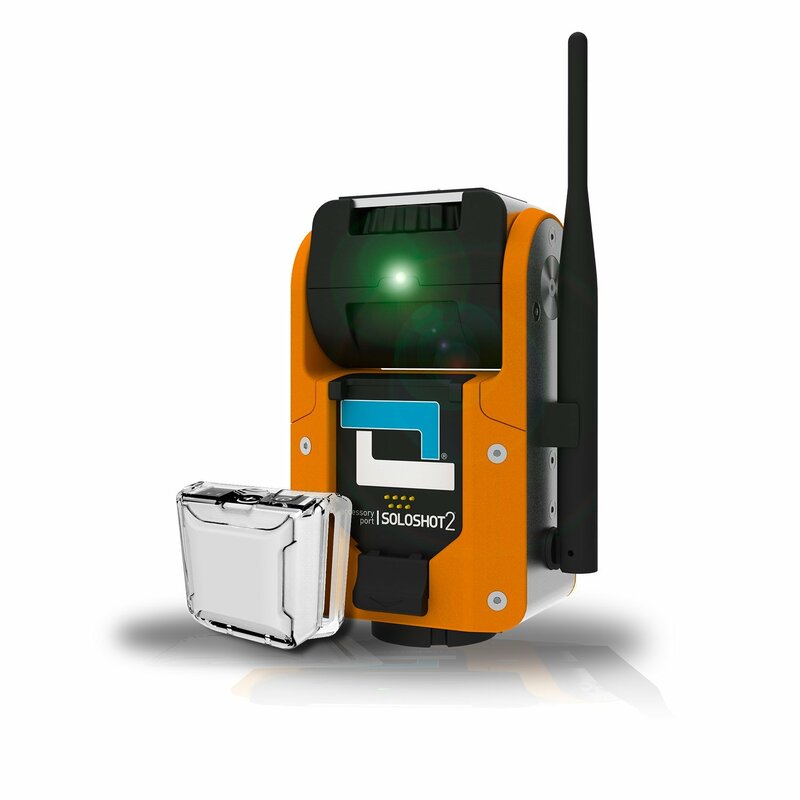 It can be used to capture action sports, walkthroughs, and everything in between. SOLOSHOT2: a smart cameraman that automatically pans, tilts, and zooms to keep your camera pointed at you. You can link multiple Soloshot2s together to get multiple angles. 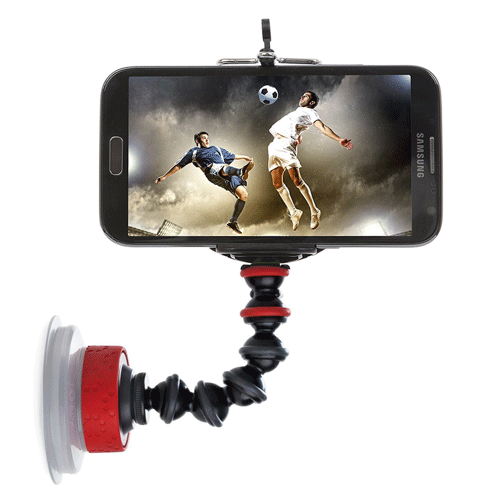 Joby Action Suction Cup with GorillaPod Arm: lets you mount your action camera to any smooth, flat surface. The smartphone adapter is capable of supporting your iPhone and Android device. 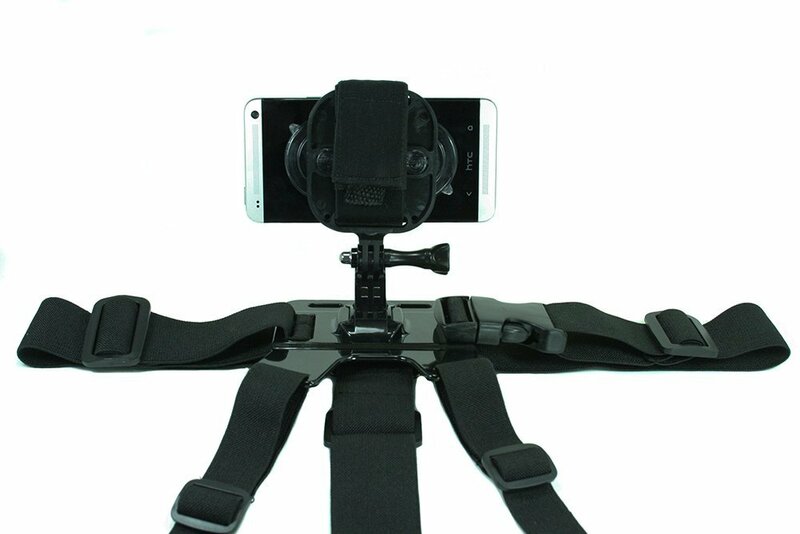 GoPro Chest Mount w/ Action Mount Adapter: lets you record POV footage with your smartphone. The chest harness is adjustable. 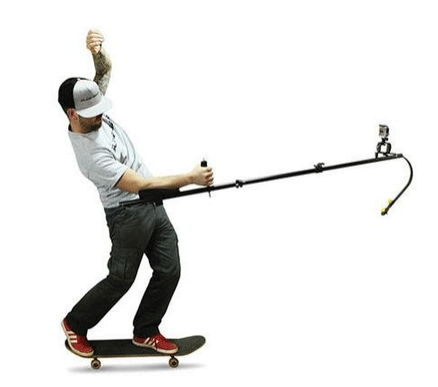 Have you found better solutions to capture your skateboarding video? Please share them here.